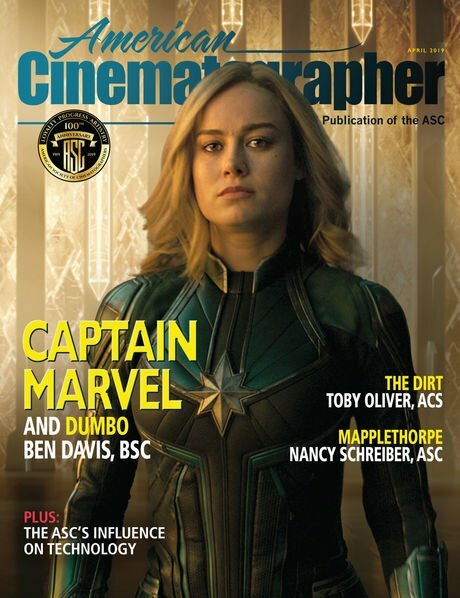 New edition showcases the work of Robbie Ryan, BSC, ISC; Sayombhu Mukdeeprom; Robert Richardson, ASC; Eric Steelberg, ASC and Sean Bobbitt, BSC. I became a fan of Robbie Ryan, BSC, ISC when Wuthering Heights blew my mind at the 2012 Sundance Film Festival. The movie’s bold take on Emily Brontë’s classic tale — intimately framed in the 1.33:1 aspect ratio — was raw, intense and completely absorbing. I was similarly astounded by my first taste of Dogtooth, a fearlessly outré slice of absurdist cinema from Greek director Yorgos Lanthimos, who proved just as audacious with his follow-up films Alps, The Lobster and The Killing of a Sacred Deer. Cinematographer Robbie Ryan, BSC, ISC (left) and key grip Andy Woodcock confer between shots. …downright grotesque. Cinematographer Sayombhu Mukdeeprom and director Luca Guadagnino set their version in late-1970s Berlin and created an oppressive, somber ambience that reflects the political tenor of the times. Cinematographer Sayombhu Mukdeeprom checks his light on actress Tilda Swinton. The look, Guadagnino tells Iain Marcks is intended to reflect on “the concept of contemporaneity and conflict with the generations of the past, the fathers and mothers who deny themselves the possibility to acknowledge what they did under National Socialism.” The resulting style might be dubbed Fascist Grand Guignol. 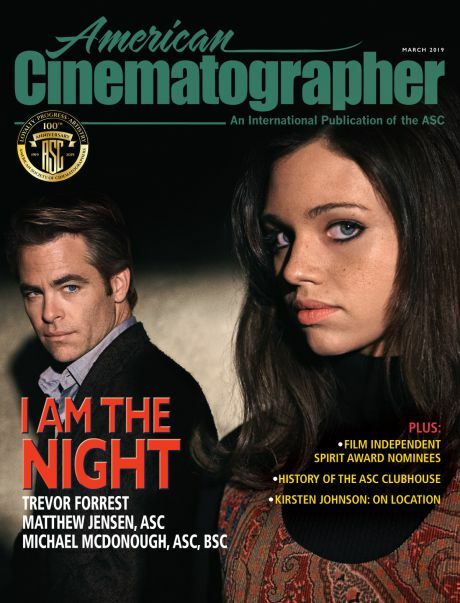 A complete retrospective piece on the original 1977 film — shot by Luciano Tovoli, ASC, AIC — can be found here. While political conflict provides a haunting backdrop in Suspiria, it’s foregrounded in A Private War, shot by ASC member Robert Richardson, who reconnoitered with documentarian and first-time feature director Matthew Heineman. Robert Richardson, ASC angles in for a long-lens look. The cinematographer’s extensive background in documentary work made him an ideal choice for the project, which dramatizes a decade of journalist Marie Colvin’s real-life experiences in many of the world’s war-torn regions. Steadicam operator Shaun Cobley covers the action during one harrowing scene. This picture marks the seventh collaboration between (from right) director Jason Reitman and Eric Steelberg, ASC, following Tully; Men, Women & Children; Labor Day; Young Adult; Up In the Air and Juno. On The Front Runner, Eric Steelberg, ASC continued his longtime collaboration with director Jason Reitman to recount the scandalous fall from grace experienced by Democratic presidential candidate Gary Hart in 1987 — a timely topic in today’s climate of “gotcha” politics. Another longstanding collaboration is explored in Rachel K. Bosley’s Q&A with Widows cinematographer Sean Bobbitt, BSC and director Steve McQueen, who renewed their fruitful pairing on the Chicago-based crime drama. Director Steve McQueen and Sean Bobbitt, BSC have also collaborated on 12 Years a Slave, Shame and Hunger. Bobbitt lines up a shot. 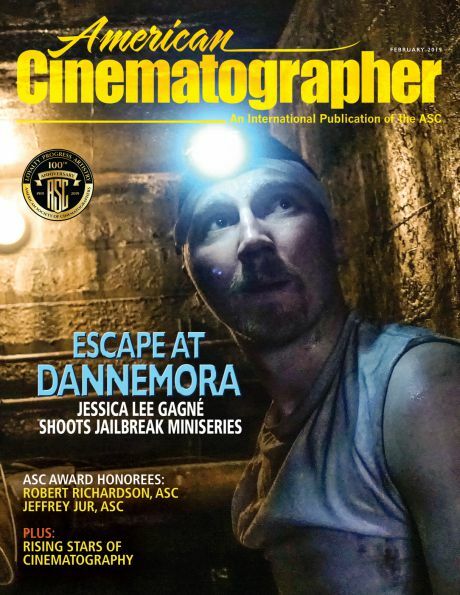 • Shot Craft: A continued discussion on the use of diffusion — focusing on make-do and improvised materials — the basics of shooting with holiday lights, and shooting in extreme-cold conditions. • A complete year-end index to AC’s print coverage in 2018. The Favourite: Unit photography by Atsushi Nishijima. Additional photos by Yorgos Lanthimos. All images courtesy of 20th Century Fox Film Corp.
Suspiria: Photos by Alessio Bolzoni, Sandro Kopp, Mikael Olsson and Willy Vanderperre, courtesy of Amazon Studios. A Private War: Unit photography by Keith Bernstein. Additional photography by Paul Conroy. All images courtesy of Aviron Pictures. The Front Runner: Unit photography by Frank Masi, SMPSP, courtesy of Columbia Pictures. Widows: Unit photography by Merrick Morton. All images courtesy of 20th Century Fox.